Interested in performing SEVEN at your theatre, at a fundraiser for your organization, at a conference, or using it as part of a human rights awareness-raising campaign? 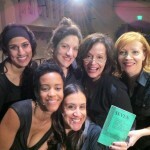 This documentary play is flexible and easily adaptable for various functions. 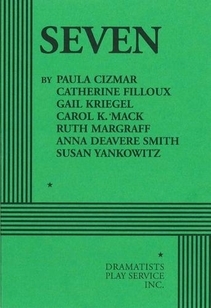 SEVEN can be performed a number of ways, from full production to reading. 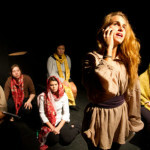 SEVEN has been performed in tiny rooms, large theatres, small theatres, halls of government, corporate offices, lofts, conference facilities, places of worship, and outdoors. It has been performed on a blank stage or with a set, with performers in chairs or moving through space, with theatrical lighting and projections or no tech at all. The casts have ranged from celebrities to professional actors to people from the community who have never acted before to generals at NATO headquarters. 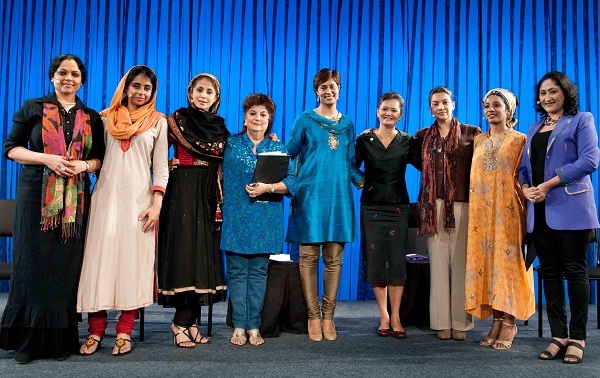 The play has been performed on its own (Pygmalion Theatre, Salt Lake City), or used as the keynote of a conference (Deauville Economic Forum), or as the central activity of an informational event (The Daily Beast’s Women in the World). SEVEN is available for performance in the United States and internationally. For information on how to obtain a copy of the script, or how to acquire licensing rights for a production, see below. If you have any questions, please just send us an email. Also: Check out The March to MARCH campaign as another option! More about SEVEN...a video about the performance in Northern Ireland!